The university updated various residence halls and academic buildings, improved indoor and outdoor student space and gave Pelham Commons a makeover. Each summer while most students are away, the university assigns itself a list of projects that essentially amounts to hundreds of FixIt tickets—spending thousands of hours and millions of dollars on campus projects that enhance the student experience. No matter your housing assignment, your residence hall community room now has a new 55-inch, Roku-enabled smart TV. Throughout the summer staff also inspected each individual room, cleaning and repairing or replacing items and touching up paint to ensure spaces were move-in ready. 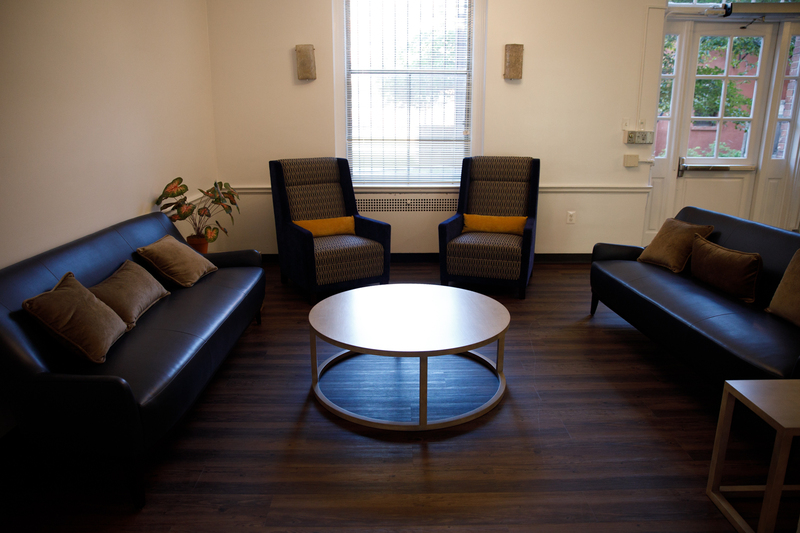 Guthridge received new flooring in hallways and living units and energy-efficient LED lighting in living units and in the basement. The common area lounge also received upgrades and new lounge furniture. In Madison, students will notice a new elevator, hallway accent colors and new common area lounge furniture and new appliances in common kitchens. Bathrooms also were fully remodeled and water lines replaced. All rooms received new LED lighting. Kitchen appliances in 1959 E St. have been replaced and many appliances in the Aston have been upgraded so the entire building has up-to-date appliances. Munson received a full repaint, including new hallway accent colors, LED lighting in rooms and replacement of its heating and cooling units. 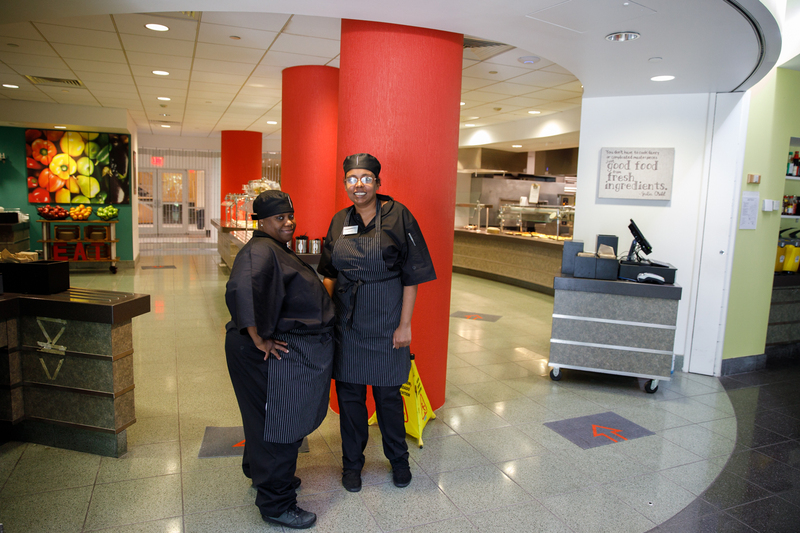 Its kitchen appliances also were replaced and the common area lounge received upgrades and new furniture. The Mitchell Hall courtyard has been upgraded and will be open as a new student community space for residents. At 2109 F St., the community room received new floors, paint and windows. The heating and cooling system also has been revamped. Strong received multiple renovations, including new flooring, paint accents, LED lighting and new vanities. The common area lounge also received upgrades and new lounge furniture. 605, 607 and 611 22nd St. have been refreshed, including new flooring, paint and lighting. Several bathrooms and basements in the properties have also been remodeled. Potomac, Lafayette and Lenthall were fully repainted. Fulbright rooms received upgraded LED lighting. Finally, some residence halls also now have an even more distinct GW look: Strong, Fulbright, JBKO, FSK and Lafayette have new flooring complete with GW branding. 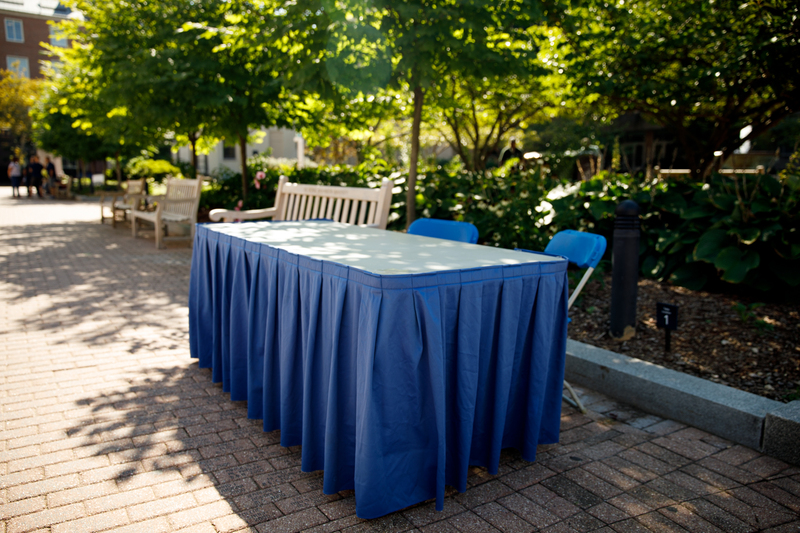 This area is a central location near Kogan Plaza where student organizations and departments can set up tables to promote events or initiatives. GW community members must reserve these tabling locations through Events and Venues. With tabling events moved to an adjacent area, the Mid-Campus Quad space with the large blue awning will transition from being an event space and will now be dedicated as an outdoor student gathering space. The space received new landscaping and the addition of furniture to provide a space for students to gather in an impromptu and casual way. 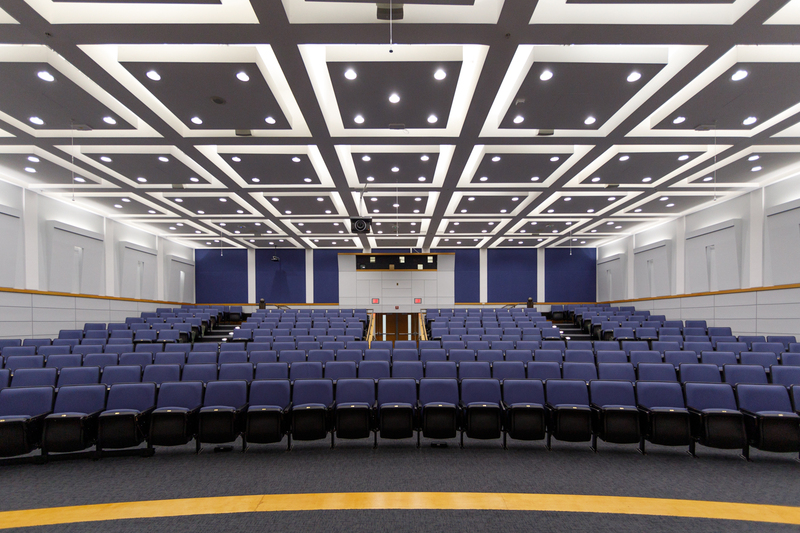 Over the summer, large lecture rooms in Funger Hall 103 and 108 received new seating and carpeting. And beginning this fall the Corcoran School of the Arts and Design re-opened the second floor of its signature Beaux-Arts Flagg Building on 17th Street, which boasts four refurbished floors of classroom, lab and gallery space. At Corcoran Hall, new classroom, lab, office and communal space is also ready for the fall semester. Additionally, the outdoor classroom behind the Honors Building at 714 21st St. (adjacent to the Mid-Campus Quad fountain) will now be available for reservation for both classes and student meeting space through Events and Venues. Various classrooms across campus also received new flooring, technology and furniture. A new look at Pelham Commons on the Mount Vernon Campus accompanies the change in dining operator to SAGE Dining Services and the introduction of a new all-you-care-to-eat venue at Pelham for lunch and dinner, as well as a-la-carte selections for breakfast and lunch at Higher Grounds in Ames Hall. They’re hard to miss but in case you haven’t seen them, the university debuted new shuttles complete with an unmistakable GW look in July. The fleet, equipped with Wi-Fi, USB charging ports and bike racks, provides service between Foggy Bottom and the Mount Vernon and Virginia Science and Technology campuses. University community members can now reserve a portion of the large former parking lot on G Street, now called Potomac Square, directly across from Lisner Hall and next to the Law Leaning Center, for events. Keep an eye out this year for more enhancements to student space, including a new deck and seating area on the H Street side of Gelman Library. Crews are working on it already. First-year and transfer George Washington University students were welcomed to campus Saturday with helping hands, warm smiles, a presidential lemonade stand and GW sweatshirts. Dr. LeBlanc updates the university community on the progress of the strategic initiatives and emphasizes the importance of diversity and inclusion, Title IX policies.